Riley Blake Designs "Medium Dots" by Riley Blake Designs. 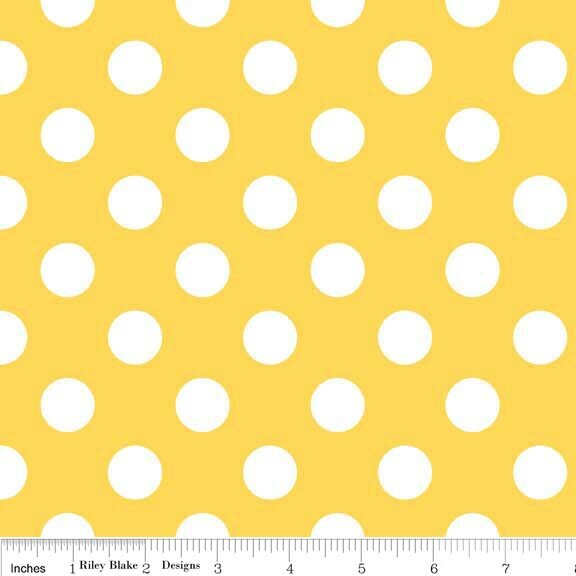 100% cotton, pattern C360-50 Yellow. Pattern measures 3/4" in diameter. Fast shipping on a large order always makes me super happy! Great seller, great prices. Thank you! Pretty Yellow! Nice Fabric! Thanks So Much for the Excellent Service!! !